Get a professional sewer repair by Clovis Plumbing Services! 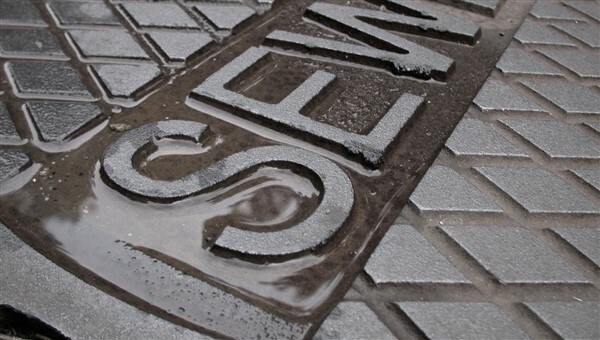 A cracked sewer can be extremely cumbersome and difficult to manage for any residential or commercial property owner. A clogged sewer can cause extensive and substantial damage to the property and pose severe health risks at the same time. Hiring a trusted and reliable plumbing service provider should be the first step in dealing with faulty sewer lines. Clovis Plumbing Services has the expertise of repairing and managing many residential and commercial sewers with best results. What makes Clovis Plumbing Services the best choice? Our technicians have the right set of skills and requisite knowledge to repair any kind of issues related to the sewer. Repiping: Installing new pipes or reworking the existing ones in order to prevent bursting and blockage. Sewer repair: Repair the sewer pipes and in case the sewer pipe is beyond repair we replace it. Installation: Our lead plumber has 30 years experience and is an expert in sewer pipe installation. If you suspect that you need a sewer repair, a major drain or system problem in your sewer system is the first clue. Check if the problem is due to one or all fixtures. Your toilet is often the first sign of trouble when you are slowly or not completely flushing. Your plumber may be able to visually inspect your in house piping and use a fiber optic camera to inspect for blockage or breakage. Older clay sewers are susceptible to decomposition compared to the newer materials which have a longer lifespan. This means that if your house was built before the 1980s, you are likely to have clay pipes that require repairs. It may also be that your clay sewage pipe reaches its lifetime and simply collapses. If your sewer line is broken, it is likely to be obvious. You will most likely smell sewage and develop sinkholes or wet areas. This usually indicates a break in the sewer that needs to be replaced. Even if you can perform a patch job on the broken pipe, you are likely to look for future breaks and ultimately, a replacement of the sewage system. If your installer recommends sewer repair, your final cost may vary. This can drive the cost up as much as $5,000. Any sewer system that is defective will only get worse and cause severe damage and cause more expenses in the end. If you have a suspicion that your systems are not working properly, you should call the professionals immediately and have it looked at. All it costs is an inspection fee and you will at least know what the potential problem is. Worst case is you may find out there is an immediate need for a repair. It is better to find out sooner than later so that the problem can be isolated and fixed without the extra inconvenience of more damage and expenses. The main reason you to address potential issues is to eliminate the costs associated with these repairs. Pipes often need to be dug up and the smells can be toxic and disgusting. Letting problems go can make a building unlivable and even dangerous. There are many reasons your system can fail including clogs are the most common. Sometimes lines can break due to tree roots as well as colder weather freezing conditions. Make sure to take the proper precautions by calling in professionals who can handle the job correctly. In the trenchless method, some kinds of current problems can be avoided in the future because of new, advanced technology. Pipes which may have been damaged by tree roots can be protected by protecting them with epoxy. Seams which are a weak point in the pipeline can be replaced by seamless pipes, which present no vulnerabilities to roots. Because there is far less digging involved, and often none at all, that means there is considerably less labor involved in repairs. All that translates to cost savings for a homeowner, because the whole process is much simpler, from start to finish. When various parts of your sewer line are repaired or replaced using trenchless technology, the whole line becomes stronger. Since stronger materials are used, the line as a whole will last for years to come.